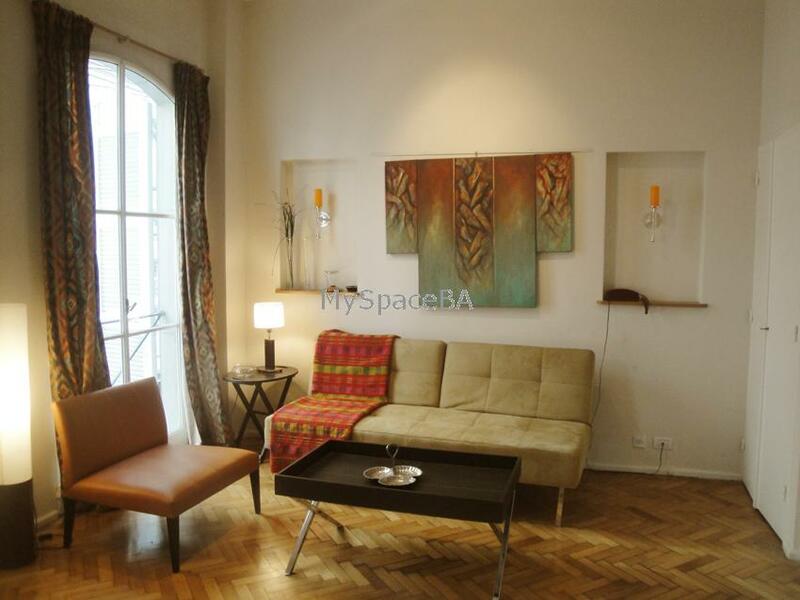 Cozy and bright Studio apartment located in a very chic area in Recoleta just around the block of the Alvear Palace Hotel. The apartment has a Queen size bed which can be split in to two large beds . LCD TV with cable . It offers a living area with sofa bed and armchair . There is a dinning area with glass table and chairs , it is connected to the living area throug a bar . There is a equipped kitchen and a bathroom with shower . LCD TV 32 inch . Cable TV . Internet High Speed . Landline telephone for local calls . Aircon . Heater . Hair dryer . Kitchen with fridge , microwave , electrical oven . Gas Burners . Toaster . Dishes . Kitchen utensils . Bed linen , towels . Cleaning service once a week . Very good building with elevator . Included: All the utilites are paid by the owner .